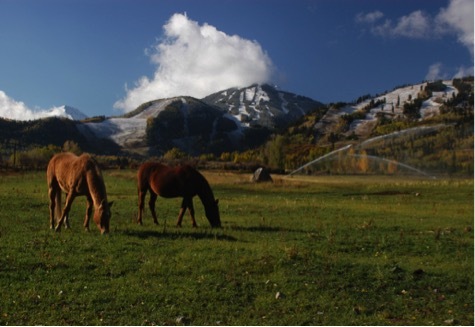 The Double Bar X Ranch is an exclusive ranch located just outside of Aspen on the east side of the Maroon Creek Club. After performing all of the earthwork and utilities installation for the ranch during the development stage, we were asked to change order into our contract an $850,000 irrigation system. The system consisted of 5 ponds, 14,000 feet of pressure pipe, 60 plus Nelson Big Guns and two pump houses.